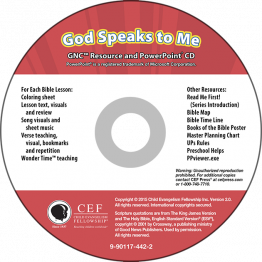 This six-lesson foundational series contains teaching on how God speaks to His people. The lessons include a doctrinal lesson on creation’s display of the greatness of God; examples from the lives of Josiah and Jeremiah of how God preserves His Word; the story of the life, death and resurrection of the Living Word—Jesus Christ; and how Samuel responded when God spoke to Him. The last lesson is a detective themed review. 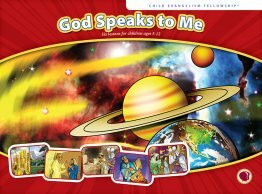 Use these lessons to inspire children’s confidence in God’s word, help children see how God speaks to them today and encourage them to respond to His Word. 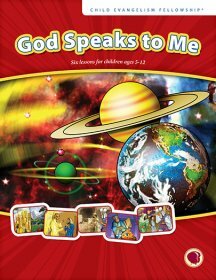 Full-color flashcard visuals to teach six lessons in the God Speaks to Me series. Lesson text to teach the six lessons of God Speaks to Me. 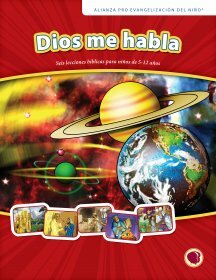 Lesson outlines, detailed story line, review questions, memory verse teaching and more! 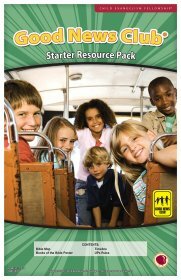 Starter Resource Pack includes a Bible time line, Books of the Bible poster, Bible-time map, UP's Rules poster and a copy of Guiding a Child to the Savior. 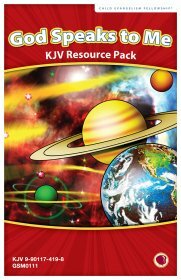 This Starter Pack is designed to be used with the Resource Packs for the following series.